Late Summer Special: 20% off all cottages in September. Contact Debra on 01834871583 or 07837386370, email: jordanstonfarm@aol.com for availability. Visit Pembrokeshire and see what this great county has to offer. Situated along the Pembrokeshire Coastal Path, Barafundle bay has been selected in the top 5 of the most beautiful beaches in the world. It is a 20 minute drive from the cottages. Skomer Island, a nature reserve for rare birds and the famous Puffins is a wonderful experience, and will leave you with some great memories and photographs. Pembrokeshire has a wealth of stunning castles and is also host to the smallest city in Britain; St David's is an hours drive from the cottages and is the birth place of the patron saint of Wales. St David's Cathedral is not to be missed. Most of our cottages have log burners to cosy up to after a busy day exploring. Call 01834871583 or email jordanstonfarm@aol.com for details and availability. Autumn and Winter breaks now available. 4 night short break 75% of weekly rental. Look out for special offers throughout the Autumn and Winter months.Terms and conditions apply. Email jordanstonfarm@aol.com, or telephone 01834871583 for information. 'We have stayed at Jordanston Holiday Cottages the past two years and are keen to do so next year too! We stayed at "Just a cottage" it was just perfect for our family (2 adults and 1 child, though 2 children would have been fine too). The accommodation is clean, tastefully decorated and well maintained. Debra is very welcoming, keen to help her guests settle in and is a font of knowledge on where to go and what to do in the local area. The wine and cake that were there on arrival were a lovely touch' Claire,Tripadvisor. Choose from three five star cottages, and one four star cottage, each with unique features and bursting with character. Accommodation with personal touches and carefully chosen furnishings all add up to a relaxing and reviving holiday, in St Florence near Tenby. Pembrokeshire is an exhilarating county and you'll take away many memorable experiences. 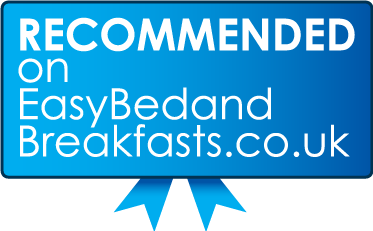 Self-catering holiday accommodation in Pembrokeshire, in a cottage near Tenby, with Wales Tourist Board five star rating - Pembrokeshire doesn't get better than this. St Florence is only five minutes from Tenby, Pembrokeshire's favourite holiday spot, where your are spoilt for cafe bars and restaurants - the best of both worlds for a self-catering holiday. For a small county Pembrokeshire has alot to offer. Award winning blue flag beaches. Pembrokeshire Coastal Path,186 miles of stunning scenery, from the mountain walks of the Preseli Hills to the rugged coastline of Stackrocks and the famous Greenbridge of Wales. The finale of the walk takes you past Lydstep Haven along to the picturesque town of Tenby, the village of Saundersfoot ending at Amroth. Explore Skomer Island without the crowds. A National Nature Reserve off the Pembrokeshire coast. Owned by the Countryside Council for Wales it is managed by the Wildlife Trust of South and West Wales. The Island is about one and a half miles long and one mile wide; volcanic rocks make the scenery spectacular, with hosts of wild flowers in early summer, and Atlantic Grey Seals in autumn. It is the home of nearly half a million seabirds, including over ten thousand endearing Puffins, and a hundred thousand secretive Manx Shearwaters. Take advantage of the spring weather, and visit the puffins during quieter times. There are opportunities of several kinds to visit the Island between April and October to enjoy an overwhelming wildlife experience. Breezier days stir up the surf attracting hardy water sports enthusiasts, with Manorbier beach and Freshwater West being the favourites. Both of these beaches have been used for feature films, Freshwater West being the most famous. Harry Potters shell cottage was constructed and many scenes filmed on the beach. The latest Robin Hood with Russell Crowe was also filmed here. It is a spectacular sight on a windy day with the waves crashing in, whilst the backdrop of sand dunes covered in Marram grass behind you is an ideal holiday photograph. An impressive array of man-made attractions from ancient castles and historic sites to museums and galleries welcome visitors all year round. These include Pembroke Castle and St Davids Cathedral, acclaimed as one of Wales' greatest monuments a mile or so from the sea, it qualifies St Davids as the smallest city in Britain. Come and Try it ! Short breaks are available throughout the Winter. A 4-night stay is 75% of the weekly rental. For more details or latest availability contact Debra on 01834871583, or email jordanstonfarm@aol.com.